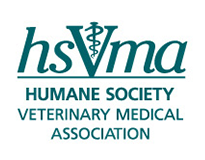 The HSVMA Compassionate Care Veterinary Student Scholarship will be awarded to veterinary students who have demonstrated an interest in and commitment to animal welfare, animal rights, or animal protection issues in veterinary medicine. Scholarships will be awarded to three students ($3,000, $2,000 and $1,500 levels). The scholarship is open to students who are currently in their first, second and third years at U.S. or Canadian AVMA-accredited veterinary schools (including Ross and St. George's). The Compassionate Care Veterinary Student Scholarship is generously supported by Dr. Gary Block and Ocean State Veterinary Specialists, Dr. Barry Kipperman, Dr. Paula Kislak, and Dr. Carrie Waters. The deadline to apply is May 31, 2019. The scholarship will be granted by July 31, 2019. Scholarship Criteria: GPA, Two Letters of Recommendation; Demonstrated Interest and Activity in Animal Welfare, Animal Rights or Animal Protection; Financial Need; First/Second/Third-year veterinary student enrolled in an AVMA-accredited veterinary school in the U.S. or Canada during the 2018-2019 school year. When you click on the application link, you will be taken to a login page. If you are not already a student member, please create a login. You will have access to the application after you log in as a member. Student membership is free through the first year of graduation.